I first encountered Dave and Deb of ‘The Planet D’ at the Ontario Tourism Press Conference during the winter motorcycle show in February 2014. They were being introduced to the media, announcing a groundbreaking partnership between the travel and adventure blogging duo and Ontario Tourism. The goal was for two ordinary people with no background in motorcycle riding, to become accomplished touring vets in just one season. 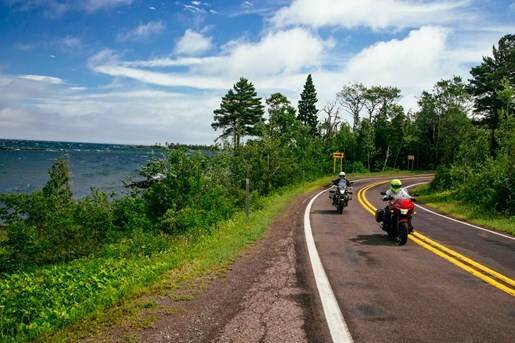 Everything would culminate in mid-summer with a 2100km ride around Lake Superior. At the time I remember thinking there was no way they could pull this off in such a short time. Not only was I skeptical of the experiments success, but also had serious concerns for their general safety. Regardless of the outcome I’d be witnessing the whole thing first hand as the official photographer tasked to document the process. 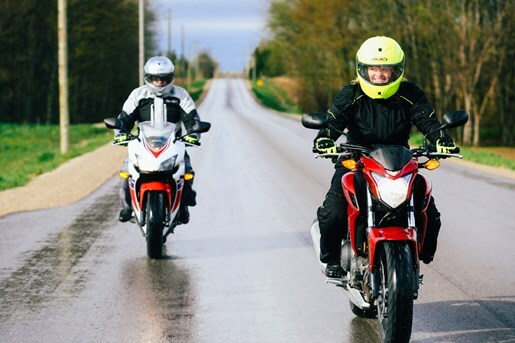 Only 1 short month later it was time for their first ride and what better place to start then the rolling country side of Grey-Bruce counties. 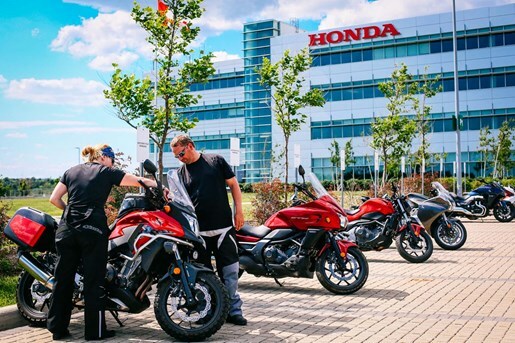 Honda Canada (who was sponsoring the tour with new bikes) had 2 units prepped and ready to go. A decision was made to have Ginny Allen from Motorsoul along for the first ride; Just to keep an eye on things and make sure Dave and Deb were acclimating to life on the open road. We spent a few days touring around including stops at the home of the worlds most famous weather prognosticating groundhog, Wiarton Willie. Throughout the first trip I was impressed with Dave and Deb’s progress and they looked comfortable on two wheels. I thought to my self “this whole experiment might actually work!” See the video below for this section of the story. In all their previous chapters of this saga, Dave and Deb were never without some form of support. 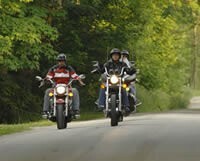 Be it, instructors or other experienced riders who tagged along for safety / comfort, there was always someone else around if things went sideways. This time it was just the two of them with my self and another camera guy. We drove behind them most of the time acting as a ‘chase vehicle’. We mutually decided this was the best way to provide some protection and a buffer zone from traffic. We had a fairly tight schedule to keep throughout the trip, as well as a long list of sights to see. This made staying on schedule essential and if that wasn’t enough to worry about, try being a rookie rider with a camera crew filming you non-stop. Everyone wants to look good on camera and that can be a huge distraction when trying to focus on riding. With all this being taking into consideration, I was immensely impressed with Planet D’s ability to deal with it all through the trip. Sure they have done their fair share of interviews and TV talk shows (and the core of their business is taking on new travel adventures for their blog), but this trip was unique in the way that the activity took place on public roads and they had very few hours logged on a motorcycle for such a trip. It gives me great pleasure and relief to say that they completed the entire trip without incident. We even stayed on schedule and ended up back the Sault, just in time for the 930am press conference. As Dave and Deb both took to the podium you could hear it in their voices, they were truly proud of what they had just accomplished. Not only that, but it appeared they had a genuine enthusiasm for motorcycle touring now. Not only was this a personal accomplishment for The Planet D, but for Ontario Tourism. After all, They took a gamble investing a big part of their annual motorsports budget into this one project. 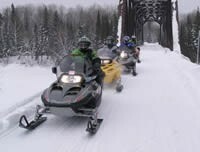 What I took away from this experience more then anything else was the fact that it is possible to have no background in motorcycle riding and with the proper training, practice and a little luck, tackle a behemoth ride like Ride Lake Superior. Hats off to Dave and Deb for helping us make this experiment a success!